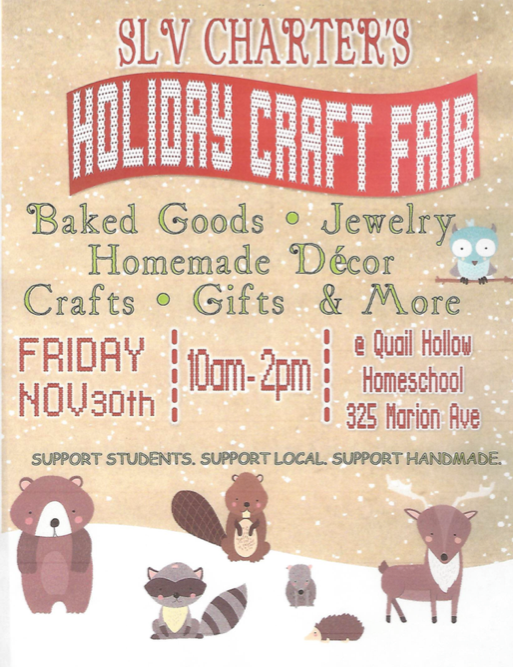 Come to our Holiday Craft Faire! Friday, November 30th 10:00-2:00 at the Quail Hollow Homeschool resource center and classrooms. Come and peruse all the crafts and baked goods our students have made!